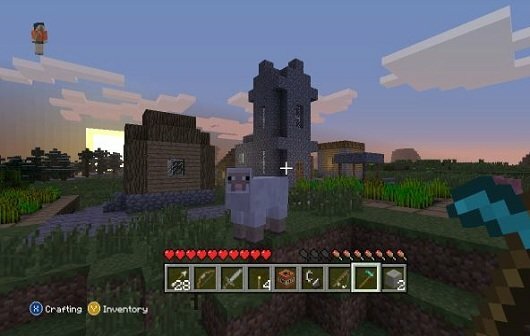 Der neue Patch für die Minecraft: Xbox 360 Edition befindet sich jetzt im Zertifizierungsprozess. Was uns im Title Update #9 erwartet, verraten die Patch Notes. – Added ‚The End‘, with new layout, and new Enderdragon behaviour. – Added Fire Charge, Wooden Button, Item Frames, Spawn Eggs, Sandstone Stairs, Spruce Stairs, Birch Stairs, Nether Bricks, Spruce Planks, Birch Planks, Nether Brick Slab, Spruce Slab and Birch Slab. – Made buckets and signs stackable. – Sheep now re-grow their wool after shearing. – Can now smelt Netherrack into a Nether Brick in a Furnace. – Blacksmith buildings in Villages now hold chests with loot of the same type as found in Strongholds. – Crafting recipe change – Sign recipe gives three Signs. – Crafting recipe change – Half Slab recipes give six Half Slabs. – Crafting recipe change – Stone Button now requires one block of stone instead of two. – Added smoother color transitions between biomes. – Added beaches to terrain generation. – Fence Gates can now be opened and closed with Redstone. – Changed Nether Fortress to make Nether Wart rooms more likely. – Made Nether Wart spawn randomly wherever Soul Sand is generated in the Nether. – Nether Wart will now grow in the Overworld. – Made Dispenser dispense mobs from Spawn Eggs, rather than the egg itself. – Dispenser will dispense lava/water from a Bucket of Lava/Water. – Dispenser will shoot Fire Charges. – Allow players to block with a sword when the ‚Can Build And Mine‘ option is unchecked by the host. – Changed the Tutorial world to add climbable Vines, and some of the new items, and removed/reduced the items in the Brewing, Farming and Breeding chests. – Don’t show the achievements warning when loading a creative map that has already been saved in creative mode. – Reduced the volume of the Ghast sound effects. – Increased the distance jukeboxes can be heard from. – Improved lighting code performance. – Improved the loading/saving time. 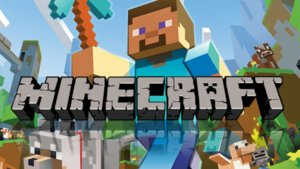 – Changed the display order in the Minecraft Store to show newest DLC first. – Added HUD size options for both splitscreen and full screen modes. – Added Reset Nether option to force regeneration of The Nether. This is helpful for older saves that didn’t have a Nether Fortress. – Added a toggle for Death Messages. – Added a toggle to hide or display the animated character in the User Interface. – Allow individual splitscreen users to have their own settings for HUD.